The Future We Left Behind happens to be another library book found in an interesting way. You see, I am a library helper, which means that I work in the library and check books in and out and issue research passes. I found this book as I was checking books into the library. So there I am, checking books in, when all of a sudden one suddenly FALLS OFF THE STACK! I didn’t even touch it, and it fell with the summary on the inside showing. I, of course, believing in a little thing called book fate, took a quick peek and checked the book out. It was MEANT TO BE! Set sometime in the far future, unknown beings have “upgraded” the human race. Humans and machinery have been combined and all humans have computers in their mind that are connected to the LINK. The LINK records all memory, provides immediate connection to the web, games, simulations, clothing, shopping malls, food, BOOKS and much more. Peter Vincent, is the son of David Vincent, famous inventor of artificial bees, savior of the world etc… David is very persistent that Peter follow in his footsteps of greatness. Peter, however, is not having any of this and goes behind his dad’s back to take an advanced literature class with his friend Perry; Peter enjoys the class immensely, having never read any of the books in the class before. While in one of his advanced science class lectures, the teacher brings up AGAIN, his fathers greatness and how amazing his father’s invention of the artificial bees was. Then, a pretty girl with striking blue eyes asks a very important question. She asks, “Why didn’t he just target the parasites, because of him there are no more natural bees.” You see, the mechanical bees devoured all of the NATURAL bees food, leaving the NATURAL bees to starve and die out. The teacher is enraged and verbally pummels her into submission. However, the smile never leaves the girls face. After class the girl comes over and introduces herself as Amalfi Del Ray, or Alpha and then she apologizes for singling out Peter’s dad. Peter, however, is delighted that she came over to talk and invites her for a fruit soy (futuristic drink) and offers to be her friend. She says no, that he wouldn’t want to be friends with her because she has too many deep dark secrets. He, intrigued, says that he would like to be friends anyway and they quickly befriend each other. 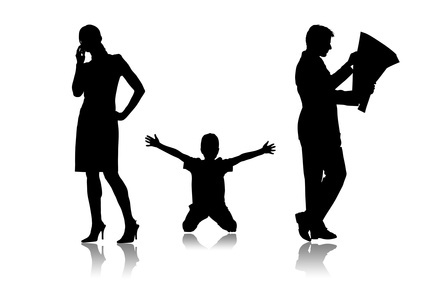 Once Peter gets home, his dad quickly corners him and asks him why he is late, and why Peter isn’t ready to leave yet. After a brief conversation, David reminds Peter that David has a big lecture that he would like Peter to attend. Peter quickly goes onto the LINK and buys a fancy suit clothes template for the convention. At the convention, Peter quickly finds his friend Perry (who’s dad works with Peter’s dad) and turns on one of his favorite link games until all of the sudden the lights go out, his father starts his speech, then makes a point that with all the data being used in the Link, and all of the memories stored, they are quickly running out of space. Then David says that he has made a gargantuan artificial brain that will absorb all of the memory. Then, Peter’s memory and all of the attendee’s memories, run out. For 30 minutes until the lecture is finished, no one remembers a thing. It is as if someone has simply erased an entire half hour of everyone’s life. If this memory, of the lecture, has been altered, what other memories do they have that are altered? How can they know what is real and what is created? This book is an amazing, suspenseful, sci-fi book. I really love the format that this book is put into with all the electronic journal entries and computer code. However it isn’t so over done that you can’t understand it. Definitely a keeper shelf addition. Because They Said So (what your parents would say:) Nothing at all really, just two kisses, a broken arm, some killer robot bees and one mention of suicide, really not that graphic or bloody. I would recommend this for ages 12 and up due to advanced technology and theories. 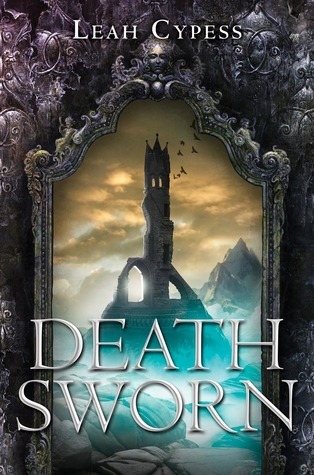 INCREDIBLY EXCITING NEWS part 1… I received an ARC (advanced reader’s copy) of Leah CYPESS’S book DEATH SWORN!!!! Love books by Egmont, so I’m looking forward to checking this one out. Also, can’t WAIT to hear what you think of Leah Cypess’s DEATH SWORN!